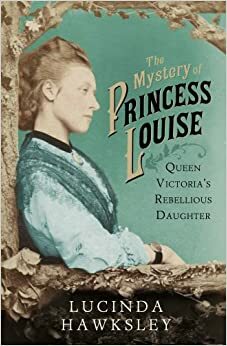 The Mystery of Princess Louise – Lucinda Hawksley, and The Grand Duchess of Nowhere by Laurie Graham. One of the great things about good books is the memories that they hold of where you began reading it, or even where you got it. This book is connected in my mind with hearing the author, Lucinda Hawksley, speaking about the writing of this biography of one of Queen Victoria’s daughters, in a yurt in Hexham, Northumberland. Anyway, it was interesting to hear about the writing of a royal biography, especially as this one seemed to present more problems than most. Princess Louise, the sixth child, is on record as being rebellious and much loved by the people of both Britain and Canada. She was an artist, producing sculptures that still remain on public display. She seemed to have entered into an unhappy marriage to a Scottish Duke who went on to be a Governor of Canada, and was officially childless. She was born in in 1848, and died in the first few months of the Second World War, after a life time of great change and upheaval as she experienced family members being overthrown and fighting in the First World War. By all accounts she worked tirelessly for charities and opportunities for women in the face of opposition from within her own family. So far, so straightforward. The Introduction to this book begins to hint at the problems and the way that the focus of this book changed during its writing. The talk that we heard detailed what is mentioned in the book, the problems that Hawksley found in researching the life of a very public figure. Access to records of her life was severely limited, and some sources completely denied. While no one would want to deny anyone their privacy, especially when they were born into public life and did not seek celebrity, this attitude to a woman who died in the first half of the last century seems a bit harsh. It is suggested that she had several affairs, and that she gave birth to a son who was rapidly adopted and never publicly acknowledged. It does seem that this whole episode is still hushed up, and that equally her relationship with her sculpting tutor Joseph Boehm has been played down. This is not a sensationalist book about a royal. This is a considered, thoughtful account of a full life lived largely in the public eye. It is readable and flows through the story of Louise’s life well. I enjoyed reading about this significant person in the early 2oth century, but I admit to still being a bit confused about the exact order of some events. Hawksley is stronger on the early part of Louise’s life, the time of greatest controversy, and the later events seem a little list like, as many relatives die and Louise becomes more isolated. This is an interesting book, and deserves to be read as a good piece of biography in the face of a bewildering continuance of official silence. 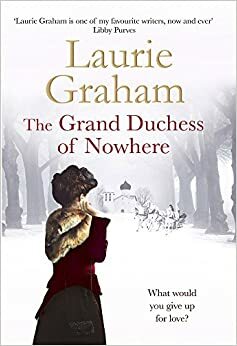 A fictional account which I enjoyed, despite a limited knowledge of the circumstances, was Laurie Graham’s The Grand Duchess of Nowhere. I have read many of Graham’s books, and while her novels are really well written, I think that she is particularly good on those on the fringes of well known history. She has written novels on Mrs Simpson, the daughters of George III, and other people who actually existed. Her lead characters are far enough from the centre of events to comment honestly on the suspicions of those in the royal circle, but close enough to know the truth. I have not done a lot of research on the Russian revolution, but this book makes those involved, the Tsar and the families, seem like real and all too fallible humans. You can read this book for the human stories, and it is not depressing if very realistic. It depicts a lost way of life in terms of enormous wealth and power, yet with the same limitations which feature for everyone. I liked the central, narrating character, and would strongly recommend it to all historical fiction fans, well away from the ubiquitous Tudors! Graham is an author who really convinces, amuses and entertains. Oh, and educates. So, whether you like your historical facts served straight, if with a little scandal, or fictional which a fair degree of entertainment, you have the choice! 5 Comments The Mystery of Princess Louise – Lucinda Hawksley, and The Grand Duchess of Nowhere by Laurie Graham. At last! A funny modern novel. Well, that’s not strictly true. I discovered Laurie Graham a few years ago, having picked up a second hand copy of The Unfortunates, followed swiftly by The Future Homemakers of America. They were unusual books, set in America and the UK, so much so that I believed that Graham was American. She wrote a fascinating novel about the Kennedy dynasty, The Importance of being Kennedy from the point of view of an English Nanny, and the great Windsor scandal Gone with the Windsors. These books seemed historically accurate, but were essentially novels, written from the point of view of friends with all the limitations of a side view of events. And above all, they were funny. Maybe not laugh out loud, but with insights, asides and humanity that made them enjoyable and absorbing reads. So I duly bought Life according to Lubka. It disappeared to the unofficial library of daughter’s flat, and hasn’t been seen since. So when I spotted At Sea in the wonderful local library opposite the house, I pounced and eagerly started to read before that copy disappeared. Yet again this is a novel with an unexpected transatlantic element and is very readable. An English Lady has met and married a cruise ship lecturer in interesting circumstances, and now begins to suspect that his demanding behaviour suggests that he is not all that he seems. I’ve never been on a cruise (a choppy crossing to the Isle of Man doesn’t count, even if it felt endless), but this novel seemed very realistic in its tourist attractions, real characters and convoluted progress. Lady Enid is gradually transformed, and transforms herself against the background of her dubious husband and batty aristocratic family. Americans shop whenever and wherever, the flirtatious chaplain does a mean foxtrot, and Bernard’s behaviour becomes more outrageous. So, the moral of this post is, if you see a Laurie Graham book going secondhand or indeed on offer, read it and you will be hooked. You will also learn some strange American history and perspectives, with a very unusual sense of humour. Read before they disappear….